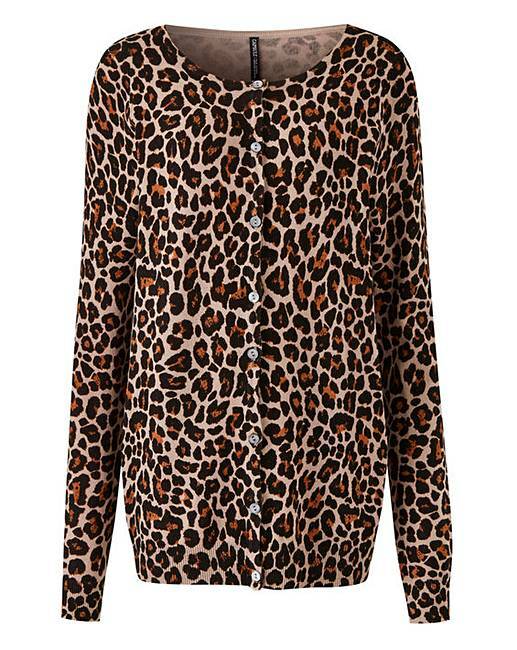 Leopard Print Crew Neck Cardigan is rated 4.7 out of 5 by 3. Rated 5 out of 5 by rene from Animal print cardigan Animal print never goes out of fashion and I'm pleased to have this cardigan as part of my wardrobe. It is versitile and goes with anything. Rated 5 out of 5 by Print girl from Super fit and length Item is super shape and excellent quality and colour . Very useful staple.